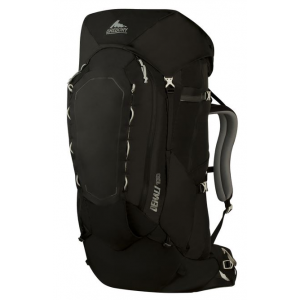 The Denali 100 Pack has the ability to comfortably carry heavy loads into harsh environments and over demanding terrain. The extensive research and real-world expedition testing behind the development of the Denali 100 Pack make it not only the best technical big-mountain pack Gregory has ever made, but quite possibly the best anyone has ever seen. By combining guide-tested essential features with the latest technology and materials, the Denali becomes lighter, stronger, and more versatile, while remaining balanced and comfortable under heavy gear loads over long distances and in technical terrain. Fusion Flex Pro suspension, strippable features, puncture- and abrasion-resistant winter construction, and alpine-ready components are just some of the elements behind the outstanding performance of this uncompromised alpine pack.